My Studio Kicks | Hello, TIEM. Readers, I introduce you to TIEM - my new studio kicks. Over the past year of instructing, I never quite found a pair of cycling shoes I really loved, and if I did they were way out of my budget. Then came along TIEM, which I first found on Instagram before they were released, and could not wait to have a pair for myself. The first pair I bought were the all white ones above, secondly I got their newest release, the black on black. The white fit more snug than all of their other colors, because they are made from a slightly different fabric but I still wear a 6 in both. I normally wear a 6.5 in Nike, adidas, and other brands but wear a 6 in TIEM. If you are between sizes, size down so they are snug! They will stretch to fit your foot as you break them in. (ALSO: SPD clips do not come with the shoes, you'll need to purchase these as separately. They are available on the TIEM site, Amazon, REI, etc) If you have any questions please comment below, I'd be happy to help. I cannot give enough praise to this company and their products - looking forward to seeing all that they do in the future! Code expires March 15, 2017. I need to give Dallas, Texas a big ol' thank you for all that it has done for me over the last two years. If you would have told me two years ago, what I would be doing in 2017, I would have never believed you. I originally moved to Dallas to pursue graphic design with Fossil Headquarters; I absolutely loved it for the year and a half I was there, but was always eager for something more engaging, something that would continue to push me both mentally & physically. I started working out with StudioHop, one thing led to another, I started instructing, came on full time with StudioHop, and now I thank God (literally) every morning and night for writing such a refreshing chapter in my story. I genuinely wake up so excited and motivated to start each and every day (Endorphins, they'll get ya). But seriously, I do know how lucky I am to have found my passion so early in life, but I've worked extremely hard to get here. I also know this is only the beginning. Fitness has become, and will always be, an essential part of my life. Training is so much more than 45 minutes of physical activity a day because to me, training is a way of life. The sweat, the community, the relationships, the barriers broken, the mind strengthened, it's truly changed my life and I'm so thankful for it. This will be the most written about pillar of the blog. I plan to do Studio Highlights and Reviews, Fit Fashion collaborations with brands that I believe in, keep you updated on the Dallas fitness community (events, free workouts, etc) and overall have this be a space where I share my physical journey with you all (because I definitely won't be slowing down anytime soon). Over Christmas of this past year, multiple family members asked how life was treating me now that I only teach fitness classes..... no no no, you see I still do have a full-time job, I instruct on the side, and I personally train on the side of that. Visuals below because, graphic designer. I work full time as the Creative Lead behind StudioHop Fitness. StudioHop is a Dallas based Tech Startup, founded two years ago by my close friend Natalie Wolfe. StudioHop gives you access to a curated list of the best boutique fitness studios in your city, allowing you to do all the activities you love without breaking the bank. Yoga, cycling, pilates, barre, boxing, dancing, rowing, cryotheraphy and more. We're located in Dallas, Austin, San Antonio, Forth Worth, most recently Oklahoma City, and constantly growing so keep your eyes peeled for our logo popping up around your city. 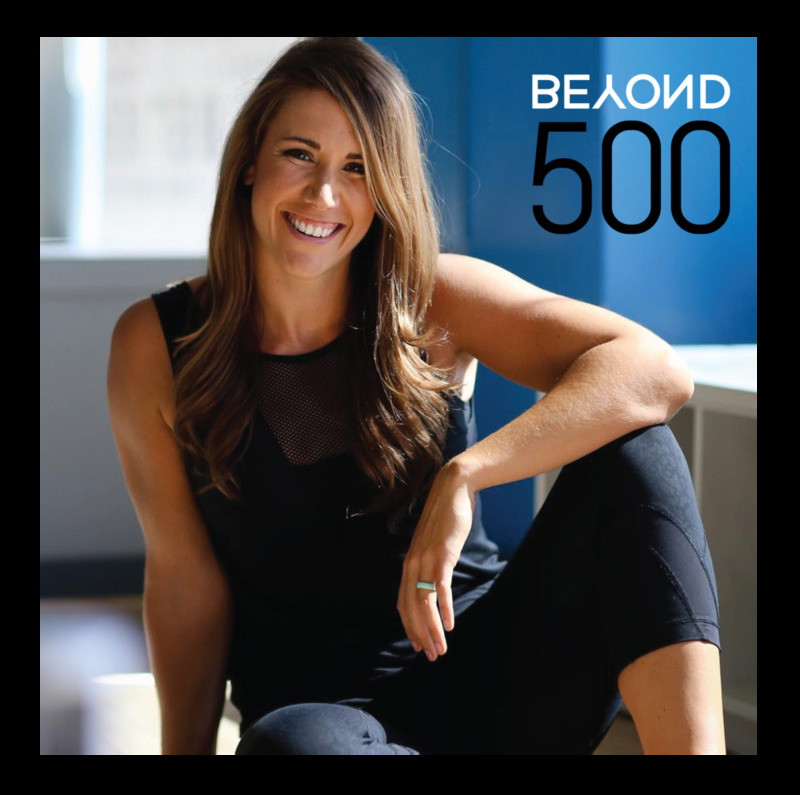 Outside of StudioHop, I instruct cycling at The Ride House and PHIT (Pilates Hybrid Interval Training) at Beyond500. Both studios are on StudioHop's platform, meaning anyone that takes classes using StudioHop, can also attend my classes - giant win-win all around. No matter how busy I become, I will always create. While in Texas, I've been able to collaborate with so many small businesses, entrepreneurs, bloggers and friends on projects all over the design spectrum. For more information regarding design, or if you'd like to work together, please see the Portfolio tab above.